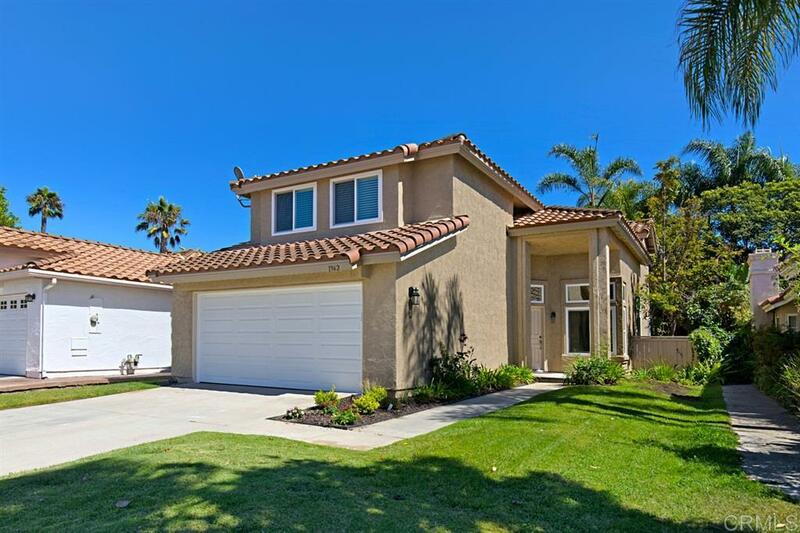 Beautifully remodeled home in the desirable neighborhood of Sea Vista in Shadowridge, Vista! Tons of upgrades, including paid solar, dual pane windows, fresh paint, new luxury vinyl plank flooring and upgraded carpet! Stunning kitchen features fresh white cabinetry, white quartz countertops, new sink, faucet, and GE Adora Slate appliances! All bathrooms have been updated with new flooring, white cabinets, counter tops, sinks and fixtures! Low HOA includes a community pool & spa, & tot lot park! See supp., Light & bright property with vaulted ceilings, window casings, crown molding, amazing breezes, and lovely curb appeal! New garage door with quiet motor! The lush backyard has a family garden, fresh sod and bark. This neighborhood comes together and puts on a 4th of July parade for your family to enjoy!